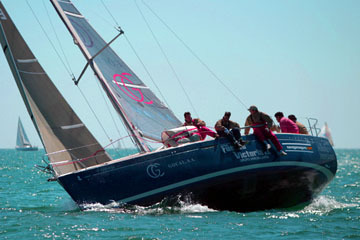 The Spring Regatta is a collection of yacht races, parties, contests, food, drink, music, nightlife, and entertainment. Its the biggest and most anticipated event on the island every year. The regatta isn't just for sailing enthusiasts. The regatta started in 1972 as only one race between all types of sail boats. Now it has blossomed into seven days of yachting, with contestants coming from around the world to participate. Sailors can now choose to join in just one event or can try to tackle them all. The Spring Regatta is a ton of fun even for a guy like me. I've never joined in the sailing festivities, mainly because I'm too busy with the seven nights of partying. Let me tell you, sailors really know how to have a good time. The Regatta is really two events wrapped up into one big package. It starts off with three days of destination and fun racing, then it gets serious with the experts taking over for the main events. I'd recommend going to this event over any other in the BVI. It's the featured social event of Tortola. So if you're planning to be here in early spring try to find a way to fit the Spring Regatta into your schedule.